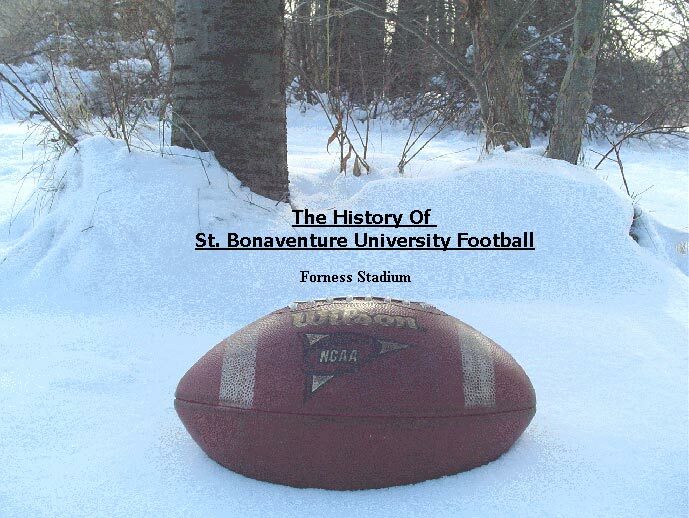 When Coach Hugh Devore arrived at St. Bonaventure the entire southern tier was extremely excited that "big time" football had came to little St. Bonaventure. At the introductory dinner for Coach Devore, Fred W. Forness, former three term Mayor of Olean, pulled out one of the biggest surprises at the dinner. He got up and made the announcement that now that we have a great football coach we need a great football stadium. He then donated $100,000 to finance the building of St. Bonaventure's first football stadium. 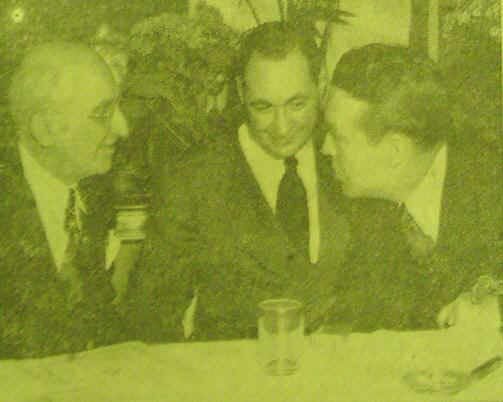 Fred Forness talks with National Championship winning coach, Frank Leahy from Notre Dame, while Coach Devore looks on. Leahy was one of Devore's good friends and came to Bonaventure to show him support and wish him luck with his new team. Construction of the stadium wrapped up in a record breaking 77 days. 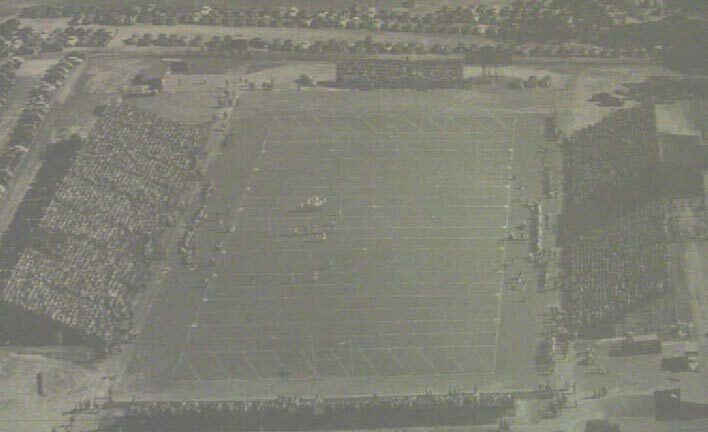 The very first game played in the stadium was on September 28, 1946. St. Bonaventure lost to Youngstown, 20-14. 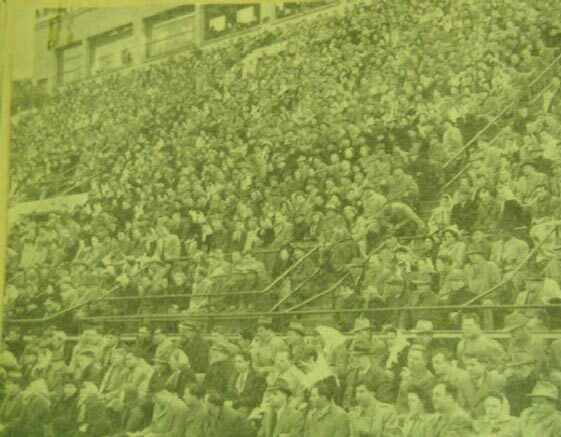 The two largest crowds that the stadium saw were 12,000 in 1948 when Bonaventure played William and Mary, and another one of 12,900 when Canisius came to Bonaventure for a Little 3 showdown. The Brown Indians won both of these heavily attended games. 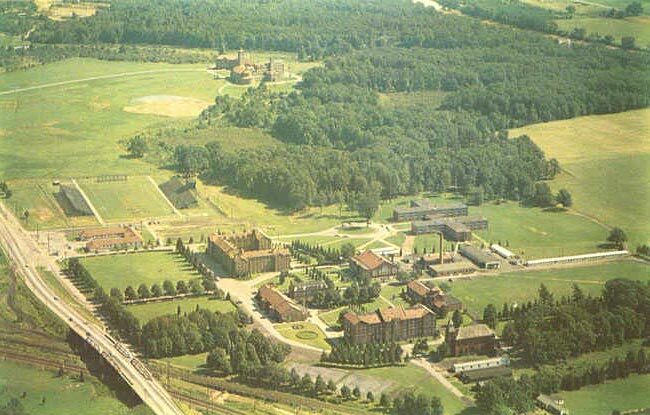 Aerial photo of St. Bonaventure's campus circa 1959. Forness stadium is on the left.